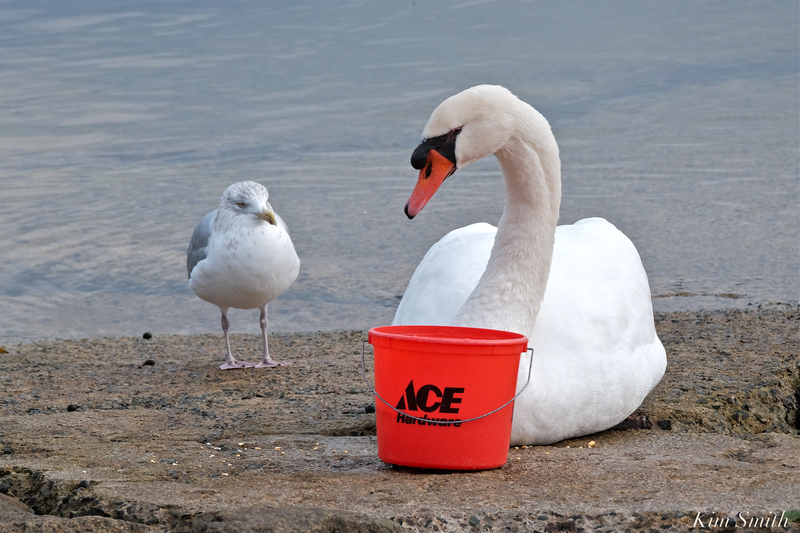 Just kidding, but really, don’t you think Ace should enlist Mr. Swan for an ad campaign? Joel and Skip Munroe ensure Mr. Swan is well-fed during the winter months. This entry was posted in Birds, Birds of New England, Cape Ann Wildlife, Life at the Edge of the Sea, Swans (Cygnus olor) and tagged Beautiful Birds of Cape Ann, cygnus, Cygnus immutabilis, Cygnus olor, Friends of Mr. Swan, Mr. Swan on December 11, 2018 by Kim Smith.